CDM & Eggs is back. With Phase 3 just getting underway, new DEFEND Task Order requests on the street (and the first task order awarded), along with the new Federal dashboard making headlines, the CDM program continues to progress. 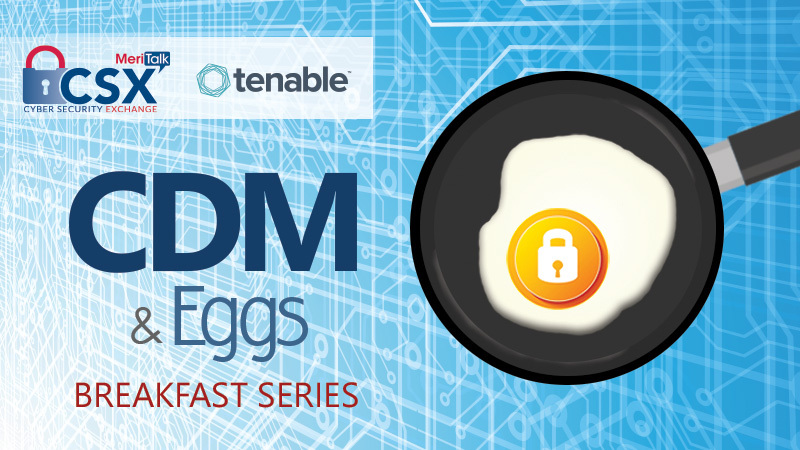 Join MeriTalk’s Cyber Security Exchange and Tenable on Thursday, March 22 for our fifth CDM & Eggs discussion – a limited attendance government-only roundtable breakfast where we’ll dialogue on funding challenges, progress updates, the latest CDM dashboard developments, and other issues impacting the next phases of the program.